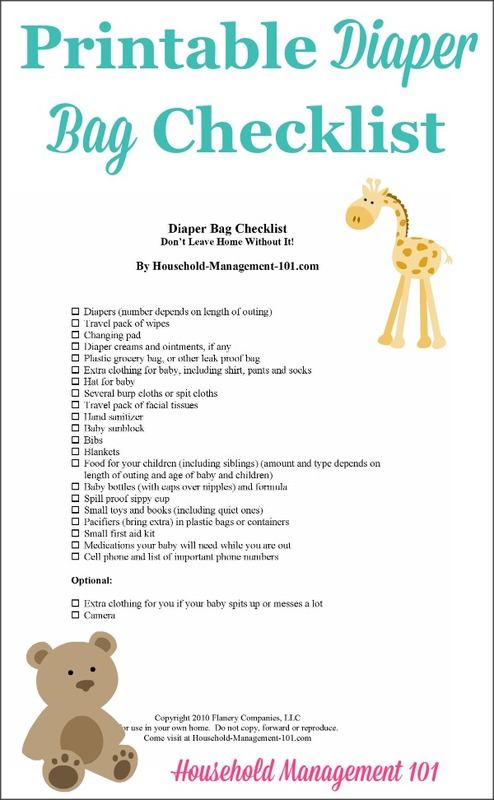 Here is a free printable diaper bag checklist to reference when you are in a hurry, running out the door with the baby. It is exactly in these moments, when you are rushed, that you are most prone to forgetting something important for the baby in his or her diaper bag. 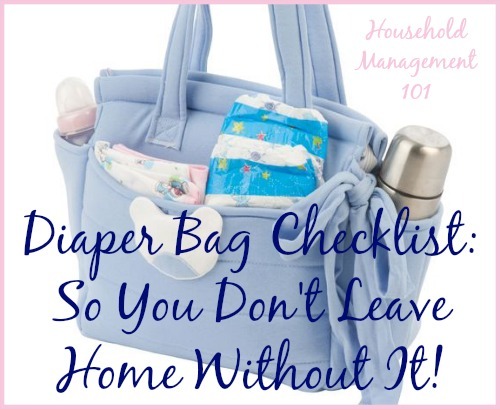 Referencing the list before you leave the house (preferably the night before when you aren't rushed) will allow you to make sure you have the essentials from the diaper bag checklist. Helful hint: Sometimes I just bring a cloth changing pad from home, but there are times when you are in a public restroom, like at a restaurant, where you may find using a disposable changing pad more handy. Several burp or spit cloths, for messes, spit-up, etc. Travel pack of facial tissues for wiping noses, mouth, etc. 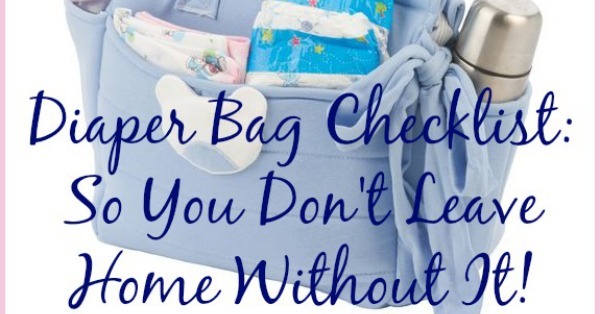 I know that seems like a lot for this diaper bag checklist, but I have found that these items are needed. Helpful Hint So You Don't Have To Carry Everything On The List All The Time! Sometimes, to save my back from lugging too much around, I leave some of these things in the car so they are available for me to go out and get them if needed, but I don't have to lug them around all day if I don't end up needing them. Of course, what you will need will vary significantly depending on where you are going, how long you will be gone, the age of your child (or children), and your own personality.